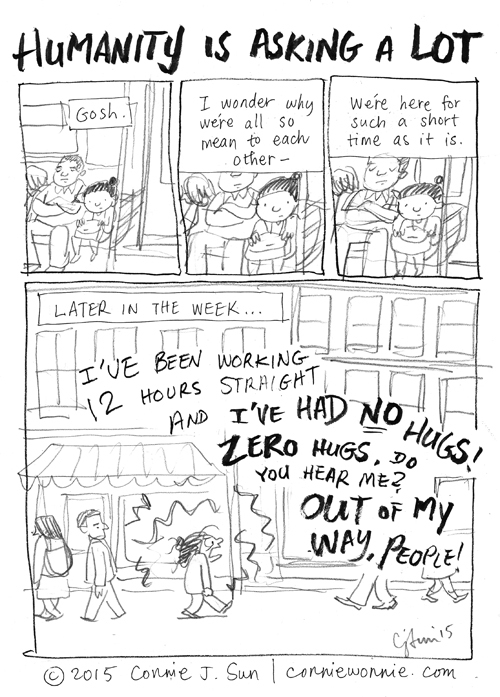 Cant remember the last time someone wanted to hug me. Yes, I often feel this way, funny to think the simplest of actions can make us want to move forth with a little bit more zest. 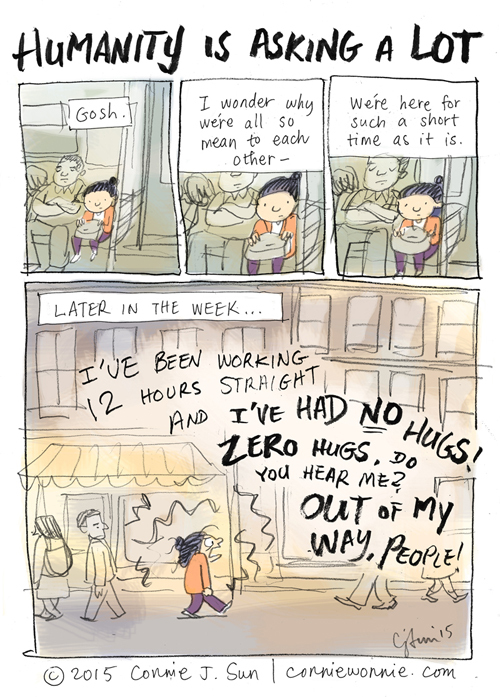 Your comics bring tears to my eyes for I have also experienced these similar feelings, but yet we must move forth. Though the days can seem dull and lonely know that you offer some consolation to me by sharing your delicate little cartoons.